Yohoo Slots - Online Casino. Claim Your Bonus & Free Spins! If you’re looking for a more colourful and fun online casino, Yohoo Slots might be the one for you. With cute resident characters and more than 100 slots to enjoy, Yohoo is a great site to enjoy across all devices. With a name like Yohoo Slots, it’s clear which type of games you can expect to play when visiting this gaming site. While some may argue that Yohoo Slots isn’t the most well-rounded online casino, that isn’t the intention here. Yohoo Slots aims to provide an excellent spinning experience through the slots it has on offer and the promotions to supplement them. When you land on the Yohoo Slots homepage, you’ll find everything that you need to when playing here and anything else is reachable within the click of a button. The header banner showcases the lucrative welcome offer that’s made up of 20 free spins and up to £200 free play! Scrolling down slightly will uncover some featured slots, many of which you’ll know as some of the most popular games around. There isn’t too much to take in on the Yohoo Slots homepage and the tabs at the top of the page, All Games, Promotions, Spinathon and Trophies allow you to get around the site with ease. Before you do so, you’ll need to register for an account by clicking Join Now at the top of the page. After then filling out some personal details, you’ll be free to enjoy Yohoo Slots in its entirety within a matter of minutes. 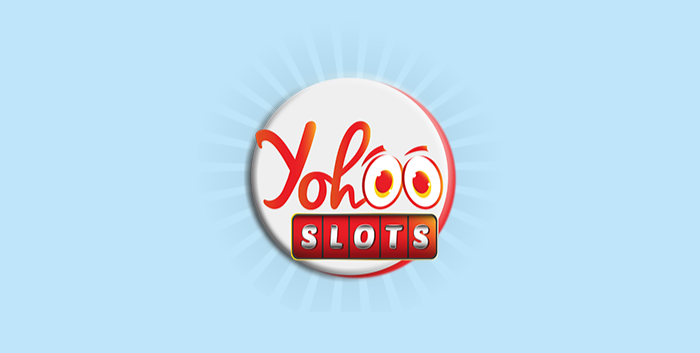 If a site only has slots on offer, then we think it’s important that there are plenty of them to choose from and this is indeed the case at Yohoo Slots. There are literally hundreds to choose from and they’re spread out across various categories; choose from Hot Slots, Newest, Instant Slots and even your favourite games. If you’d like to browse Yohoo Slots’s full roster of games, you can do so by listing them all in alphabetical order. We must warn you though, this could be quite overwhelming due to the sheer amount of them. The games are provided by a number of different software suppliers, so you can enjoy the latest and greatest slots covering various genres. Spin to win on the likes of the popular Fluffy Favourites, Foxin’ Wins and Shaman’s Dream. Plus, you can also stay up to date by playing the latest releases too, including Emoji Planet, Mayan Legends and Gold Rush. Aside from the previously mentioned welcome offer, there are plenty more promotions to enjoy at Yohoo Slots. Enjoy Newbies Cashback Boost, free spins with Midnight Madness, Happy Hours every Wednesday and many more lucrative offers. Yohoo Slots is also home to the Spinathon, which is effectively a slots tournament where you go head-to-head with your fellow players for the chance to win £1,000 cash each week! You’ll earn Spinathon points by wagering on your favourite games. You’ll earn 1 point for wagering up to 49p per spin, 2 points between that and 99p, 4 points for every spin between £1 and £4.99 and then 20 points for every spin that’s £5 and above. Better yet, 25 players will get a cash prize every week, so there are plenty of chances to be one of them! As Yohoo Slots state, the more you play, the more you can win! At Yohoo Slots, loyalty is rewarded and it’s done so with the VIP Scheme. With five VIP levels and plenty of benefits, there are rewards to be reaped. The more you deposit, the better your benefits become. You’ll need to earn Kudos and you can monitor how many you have by looking at your My Account page. Work your way up through Newbie, Expert, Pro, VIP and Legend levels. Once you reach the final one, you’ll be eligible for 50 free spins on every deposit of £20 or more, as well as 10% weekly cashback and free spins on new games. There’s even more to be had too, but you’ll need to try it out for yourself to see what you can claim. Yohoo Slots is sure to keep you spinning for hours on end, thank to variety of games they offer and the sheer amount of them. While the homepage may not look like much more than bright and colourful design, there is in fact much to enjoy at this site. Aside from slots, there are some great promotions and offers to claim, and cash to be won! Plus, with the VIP Scheme at Yohoo Slots, you’ll be rewarded for your loyalty and playing again and again at this site. Join Yohoo Slots today and claim 20 free spins and up to £200 free play as part of the amazing welcome offer. Your Yohoo Slots bonus awaits!